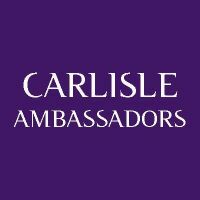 Carlisle's Young Ambassadors have a tremendous opportunity to develop and shape the City for their futures. However, in a fast changing world we have to do things differently to get the results we want. By working together side by side we can get things done and compete nationally and internationally like never before. This meeting is open to any potential Young Carlisle Ambassador, organisation or business who feels they would like to may a difference.